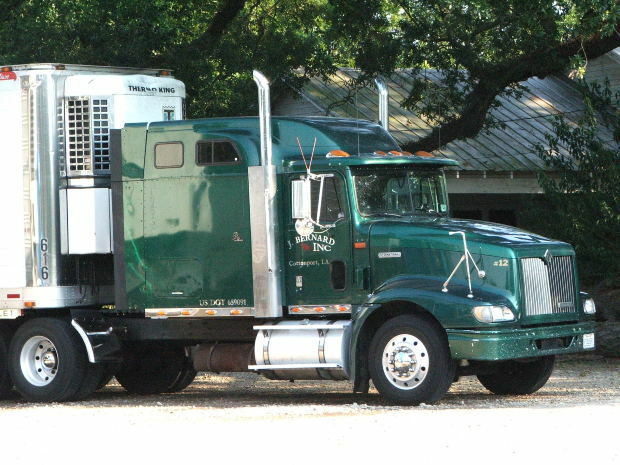 Tractor-trailers, also called 18-wheelers and big rigs, are frequently involved in accidents. And an accident with a large truck often results in serious injuries or death. Due to the nature of the business, trucks are on the road for longer hours than other vehicles. During the consumer-driven holiday season, they often clock more hours than normal. All motor vehicle accidents can be deadly, but those involving large trucks are typically more serious due to their massive size and weight. To avoid being involved in a deadly accident with a large truck, learn about the most common causes of tractor-trailer accidents. Contact a Boston personal injury lawyer today if you’ve been injured in a trucking accident. Distracted driving: The risk of distracted driving isn’t exclusive to truck drivers. With today’s technology, millions of drivers, from teens to the elderly, engage in texting or talking while driving at least occasionally. Although distracted driving is always dangerous, it’s especially so when operating an 80,000 pound vehicle. To avoid being injured in an accident involving a distracted truck driver, always drive defensively. Fatigued driving: Due to the nature of the business, truck drivers are often expected to drive for hours on end to meet delivery requirements. Although the Federal Motor Carrier Safety Administration (FMCSA) has implemented “hours of service” rules to limit the number of consecutive hours a truck driver can be behind the wheel, excessively long shifts are still a problem. Sometimes, drivers or trucking companies lie in their driving logs. Other times, even the capped hours are too long for that particular driver. Fatigued driving and driver exhaustion are a very real problem. Again, defensive driving is key. Fatigued driving can be a problem at any hour of the day, but it’s most prevalent late at night or in the early morning hours. Driving under the influence of drugs or alcohol: For some truck drivers, the open road is a lonely place to be. Many truckers spend 60 to 80 hours behind the wheel every week. In addition to prescription medications for everything from depression to anxiety, more and more truck drivers are turning to illicit drugs to help them deal. Some truckers use drugs such as speed or cocaine to keep them from falling asleep during long shifts. Let’s be clear – the vast majority of truck drivers do not engage in these types of behaviors. However, it has become enough of a problem in recent years that it’s worth discussing. According to experts, there are about 200,000 truck drivers with substance abuse problems on the road today. Recent studies revealed that more than 12 percent of truck drivers tested positive for alcohol abuse and eight percent of truckers use amphetamines while driving. Worcester, Mass. – A fatal accident involving two pedestrians and a tractor-trailer occurred Thursday evening, just after 9:30 pm. When police arrived at Kelley Square, they found 24-year-old Sarah Ewing pinned under the truck’s rear wheels. Witnesses said the driver of the 18-wheeler pulled to the side of Millbury Street to let a fire truck pass, then entered Kelley Square and attempted a right-hand turn toward I-290’s on-ramp. According to a preliminary investigation, the truck apparently cut the turn too sharply resulting in a collision with a light pole. The two pedestrians involved in the accident were standing by the light pole at the time of the collision. Upon impact, the pole began to fall, forcing the pedestrians to run in the direction of the truck to avoid being struck by the falling pole. An inspection report by the Maine State Police found that the truck and trailer that caused a fatal accident on Interstate 93 last week had violated safety codes and should have been taken out of service. Part of the wheel assembly detached from a trailer hauling a modular home traveling southbound in Hooksett, New Hampshire on September 18. According to police, a wheel flew off the trailer, struck a northbound police cruiser, and bounced back into the southbound lane, subsequently striking another car, and killing the driver. The trailer, which belongs to Crawford Homes, Inc. which manufactures modular homes, violated numerous safety protocols. In the report, State Police found that the trailer’s brakes were “inadequate” for safe stopping, as they were contaminated with grease and oil. In addition, the brake hose on one of the truck’s axels had deteriorated and was scraping against another piece of the truck. State Police reports also showed an issue with the service brake, in that when applied, there was significant air loss from the canister. Finally, the trailer’s remaining wheels had improper emergency braking. Safety records from the Federal Motor Carrier Safety Administration indicate that prior to this incident neither the company’s trucks nor drivers had been involved in an accident in two years. Trucking companies have a lot at stake, as injuries from these types of accidents often tend to be serious or fatal, as, unfortunately was illustrated in the accident last week. Subsequent to any accident, trucking companies may hire a team of investigators in order to mitigate the liability as well as the legal costs associated with the accident. After an accident occurs, it is imperative for the victim and the victim’s family to seek legal counsel with an experienced attorney. Some of the major causes of these types of accidents include driver fatigue, equipment failure, negligent maintenance, overload or improper loading of truck, driver inattention, non-compliance with federal regulations, and speeding. While it is still under investigation, negligent maintenance and equipment failure seem to be the two most prominent factors in what caused last week’s fatal accident. Two women were hurt when the vehicle they were in crashed and became lodged under a tanker truck on the Mass Pike in Framingham, MA. The accident occurred when a 2011 Honda Pilot traveling in the left lane drifted into the breakdown lane, struck a guard rail, swung back across the road and hit the side of a 2006 Western Star Tanker Trailer, said Trooper Thomas McCarthy in his report. This caused the tanker to jackknife and block all three lanes. A third vehicle, a 2013 Honda CRV carrying Lisa Nguyen, 32, of Malden, and Trang Pham, 39, of Everett, crashed and became stuck under the tanker. Framingham EMS brought Pham and Nguyen to Leonard Morse Hospital for treatment of minor injuries. The driver of the tanker was not injured and the operator of the Honda Pilot sustained non-life-threatening injuries. The accident resulted in the closure of all traffic lanes for an hour during the rescue operation, investigation, and clean-up, backing up traffic for about five miles. Multiple people contacted the State Police Barracks in Weston about the crash on Route 90 Westbound at the 115 mile marker in Framingham. State police, and Framingham and Natick Fire and EMS all responded to the crash. Troop E of the Massachusetts State Police and the State Police Commercial Vehicle Enforcement Section are investigating the accident.